This One day class is free for all Baby Lock owners who have purchased their machine at KK Sew & Vac. This one day class will focus on sewing and embroidery features of your Baby lock machine. Bring in your Baby Lock and learn all the wonderful things it can do. This class is best suited for the following machines: Spirit, Journey, Unity, Destiny and Destiny II and Solaris. When you sign up Kimberly will email a detailed list of supplies you need to bring along with you to class. Please call or stop in to register as space is limited. Please let us know what machine you will be bringing to class. 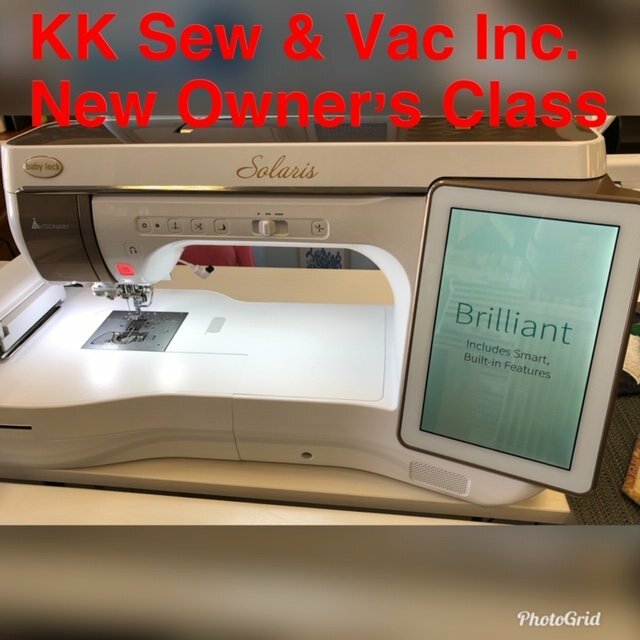 Baby lock sewing or embroidery machine purchased from KK Sew & Vac Inc.